I used to call it, "Willy" but I guess it would be a little straight to have that kind of tittle, so I decided to pick something more dramatic. "Once in a Blue Moon" because sometimes it only happens when we do not expect it to occur. see the link here" LINK"
Designing for a cause. I 've been to using animals as my subjects because I am very fascinated with them, especially those that needs awareness..The Blue Whales are amazing creatures..the giants that rule the ocean...I've never seen one in person...probably one of dreams in life is to swim with them and take photos..wow! 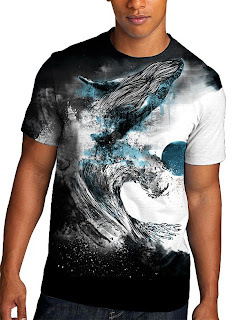 hahaha..This design I made is going to be a special one because I am dedicating to all whale fans, whale guardians, whale friends and of course the whales..Some organization like IFAW.org is doing a great job on this, and I want to get involved in helping save the whales:) I have to be a part of something big if I have to make a difference and this is going to be a huge step for me in achieving my life goals:) I want to save whales with my art. 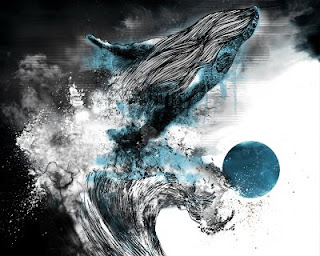 If ever I get the grand prize for the DBH 10k contest, I will share my winnings by donating to the organizations that are helping save the whales around the world:)..Support me on this!!! Thank you!!! So do not forget to vote!! " LINK"